Come stroll down the Ivy Lane with me on the Paper Trail Blog Hop. You may have already strolled through Mary's blog, The Road to Peace of Mind or Escape, which means you are on the right trail. If you are just getting started, then welcome. Our blog hop is circular and once you visit us all you'll find yourself right back here or where ever you started. A new month, a new Idea Book and an entire new line up of papers is in store for you! If you haven't seen our new Catalog/Idea Book you can see it online here. If you'd like one of your own you can also order it right there for just $3.95 (WC1141). Our Spring/Summer lineup is beautiful! Be sure to check it out! We are beginning with Ivy Lane because it's rich colors including Holly Hock, Blush, and Ivy Lane Purple remind me of love and Valentine's Day so that's how I am kicking of February. I started with the Ivy Lane Workshop On The Go. 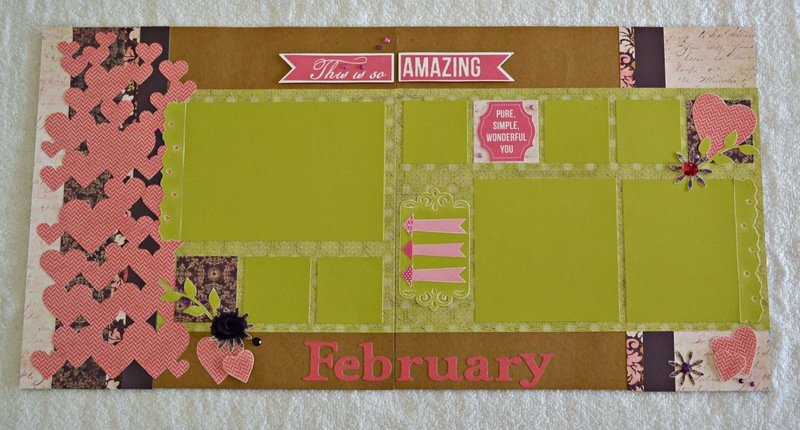 This is the layout we will use for my Littlest Angels scrap club. I don't like to give them what they can get by themselves straight from the book, so I amped it up a little bit with some additional Artbooking. 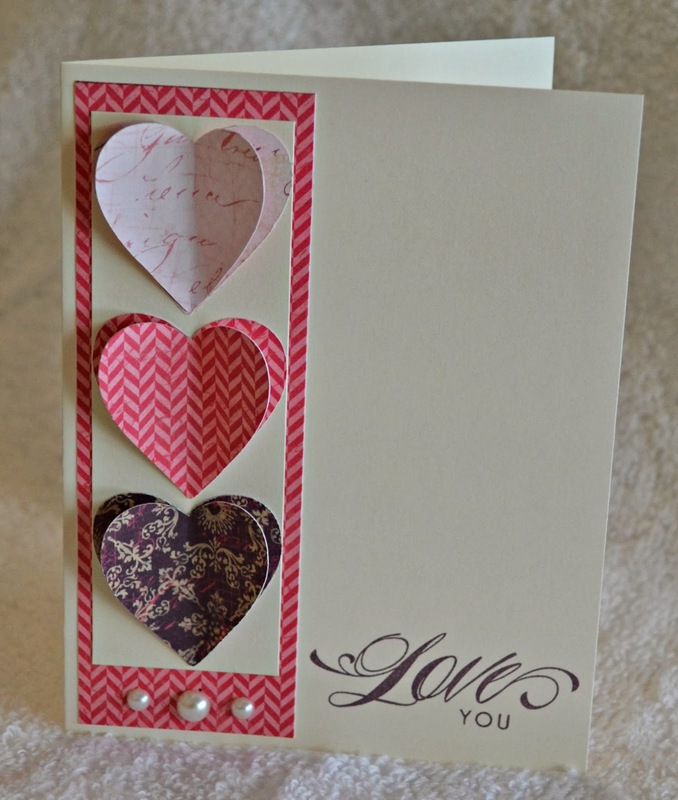 I changed up the stripes on the left hand page, removing the chevron paper and then using it for a romantic overlay. I kept the Cricut cut flowers in the layout but also added some heart shapes to the right hand side to balance out the left. We don't meet until next week, but I hope they like it! Next I have some cards to share. The first is one I made for my IOD (Ink or Dye) club swap. I adore how versatile the colors in these papers are. At IOD, Ramona taught us how to make a stair-step card. I finished mine using more of the Ivy Lane papers. I really like how the gold glitter tape gives it some sparkle & pop. Lastly, these two cards are for a card swap I am hosting. They are alike but not. Do you see what the difference is? I have one more project that is not yet complete. It's not working out as I had hoped so it's yet to be seen if I will be posting photos of it or not. Yes, I've been called a tease before. Now take a gander over to Amy's blog, Pineapple Paper Artist. I'm sure she has created something wonderful to share! 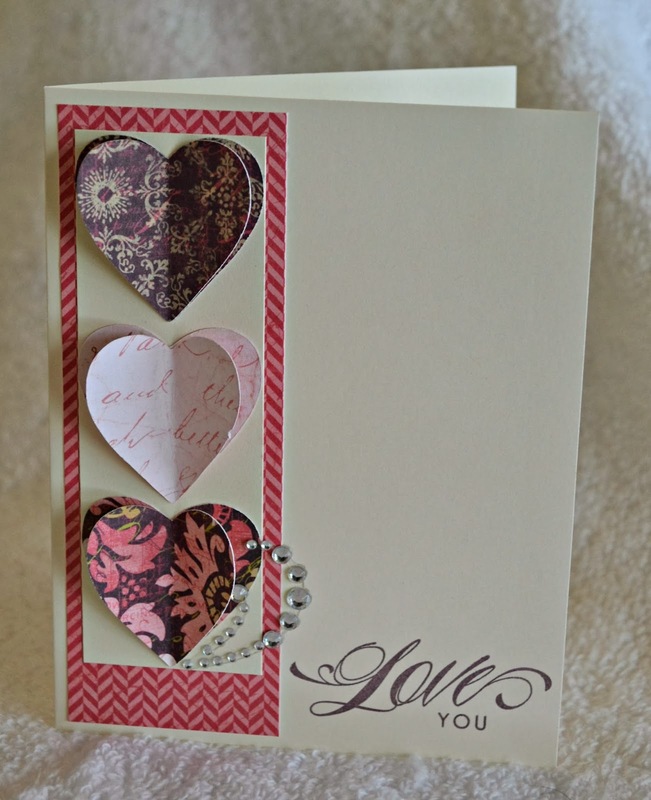 For more ideas and tips using the Cricut Artbooking Collection, please click on the "Artbooking Tutorials" tab at the top of my page. Fabulous! 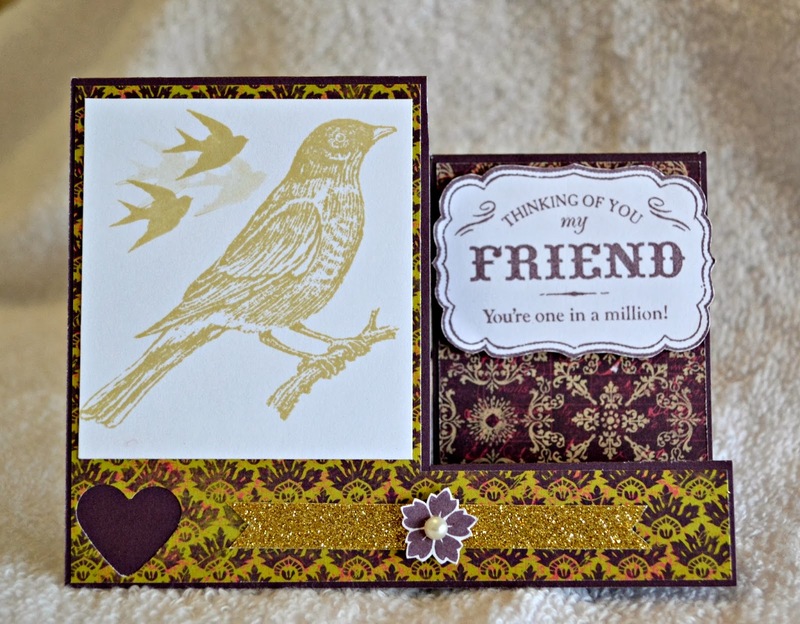 Love the Art overlay and the use of the bird stamp! Gotta love your talent! LOVE your layout and I like the opaques on the second card. Hope you'll share your tease!!! I LOVE them all! 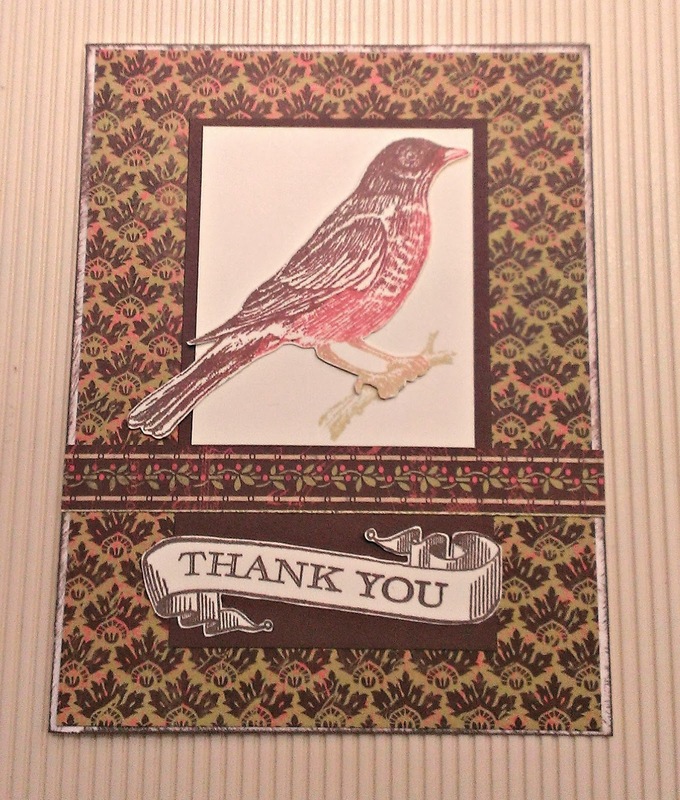 I'm a bird lover so that stamp is one of my new favorites!